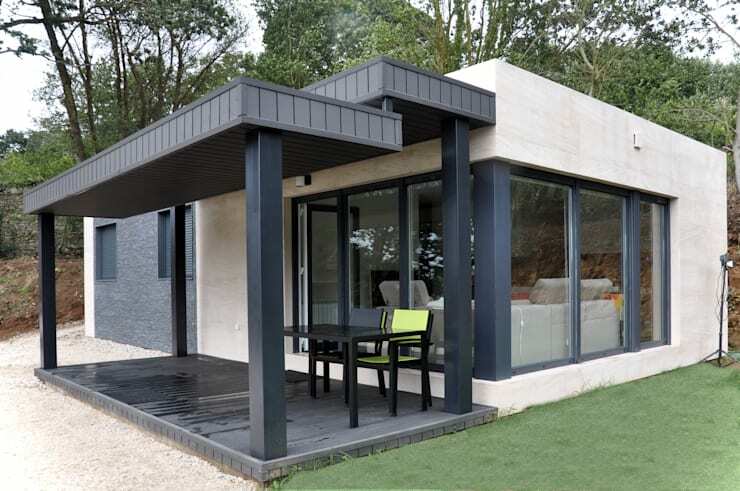 A perfect low-cost option for those living in areas prone to natural disaster, this sturdy prefabricated house is an impressive solid design composed of stone, concrete, wood and steel panels. 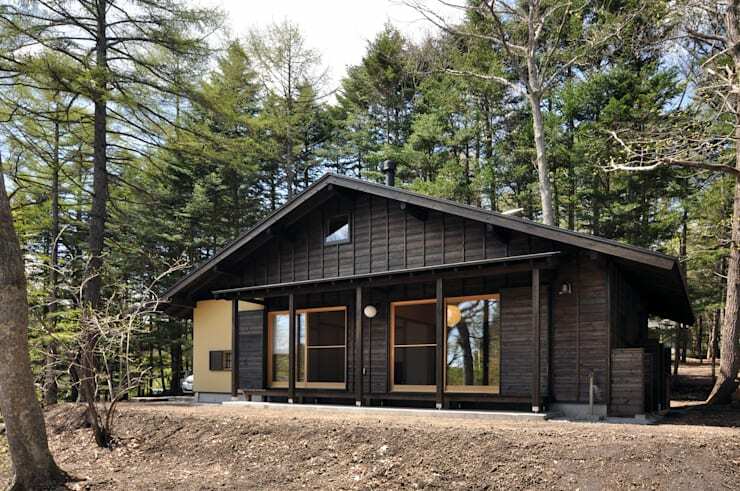 Here we see a house that measures less than 60 square metres, yet wows us with its elegant appearance and beautiful forest location. 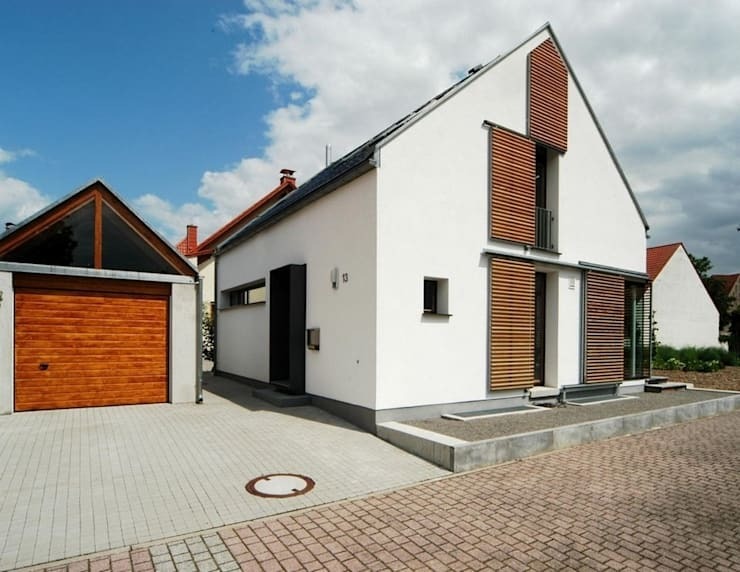 We love the exquisite wooden panelling that gives a boost to the style factor of the façade! The large windows look sophisticated and ensure a flood of natural light inside. What an imposing look! The steeply sloping high roof, white walls and trendy slatted wooden panels and doors of this double-storey house come together in sophisticated unity! A modern twist on traditional German design has created a small wonder. 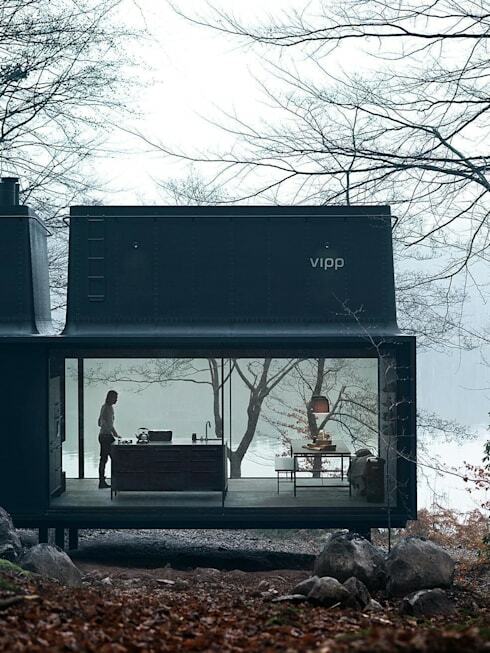 Nature lovers will appreciate this innovatively created 55-square-metre home by the designers at VIPP. Look at the glass walls that not only create an illusion of greater space but also cause the house to merge with its gorgeous surroundings. A natural stone façade has a charming rustic effect. 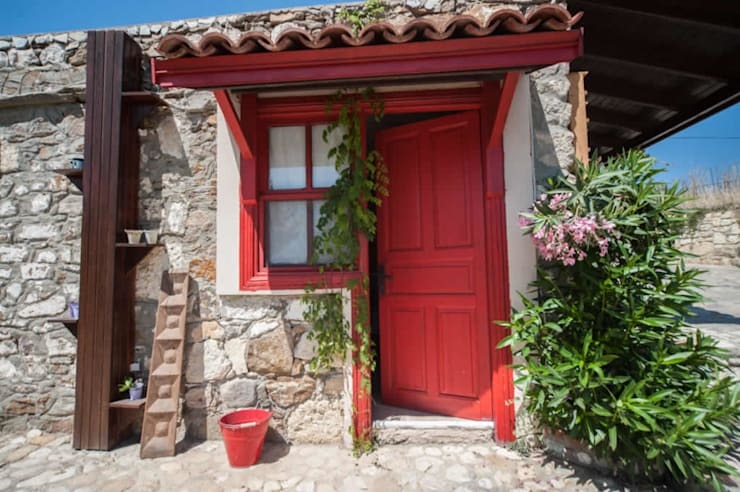 The red accents and green plants meld harmoniously with the stone to create a pretty little cottage. The unique balcony of this modern white house is an eye-catching composition in lively orange and elegant grey, matching the cheerfulness of the flowers below. 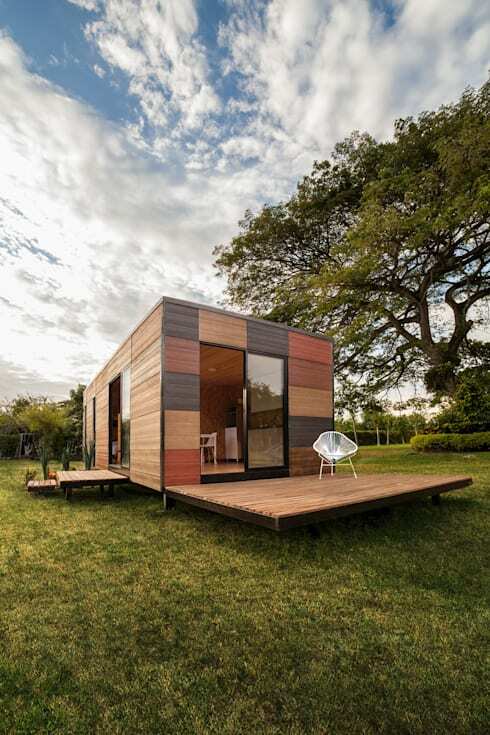 There’s nothing like a modular home when it comes to practicality and convenience! 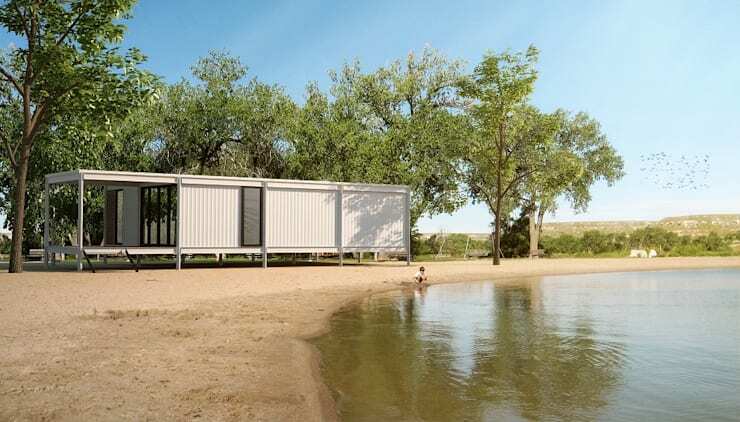 These extremely functional homes are especially useful for people who move house frequently – just dismantle your prefab and reassemble it at a beautiful new location. This prefabricated little wooden house measures just 37 square metres—but what a slice of paradise! The innovative and colourful design that includes space-extending patios and bountiful glass doors looks quite spectacular. This list of 8 beautiful houses is sure to inspire you to work wonders in your home. 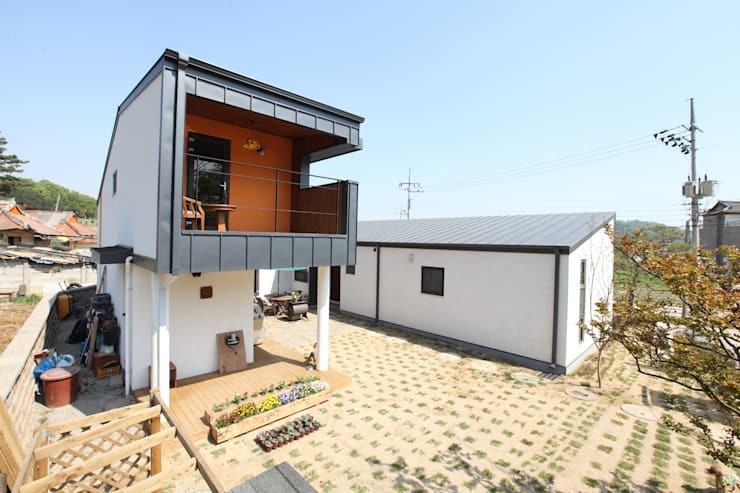 With the right colours, design, materials and a little creativity you really can build your own small dream abode! Check out another Ideabook for more inspiration: 5 modern houses (with their plans to give you ideas! ).